An excellent example of a wide boottop done by William Garden on his Vega design. The boottop line is screwed up more often than not…….very few get it right…. There is no simple formula…..this is art…..the boottop should be curved top and bottom (not a straight line in profile). The lower edge is curved less than the top…..the amount depends on the look of the boat, more sheer equals more curve in the boottop. The low point (in profile) of each curve is not midships but some place aft of that, usually about station #7, but not always……. 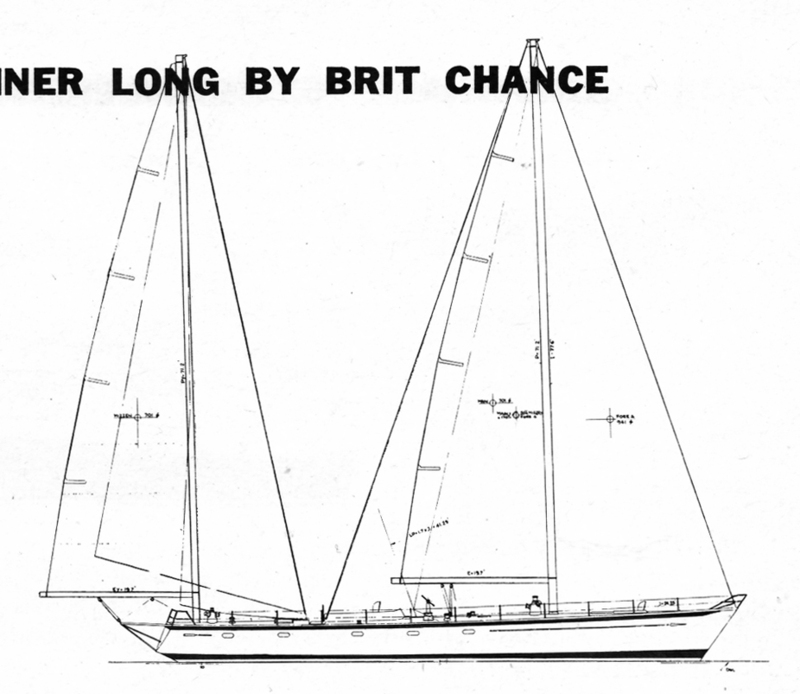 In a 30′ boat I would start the lower edge with about 3″ above DWL at the stern, 2.5″ at #7, and 4″ at the stem, and make the width about 3.5″ at the stern, 2.75″ at the low point, and perhaps 4.5″ at the stem…..It’s hard to judge without seeing the boat. A rough rule of thumb is that the boottop width (height in profile) is equal to the distance above DWL. 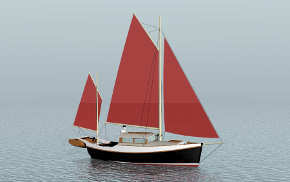 But you need to be careful about this aft if the boat has a wide stern with lots of horizontal (modern sailing boat) width. Then the line that’s narrow in profile becomes huge in plan……. 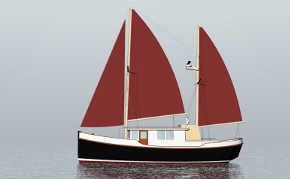 Here’s Bob Harris’s (for S&S) example of a just right boottop width on a high-sided boat, the Swan 65′. 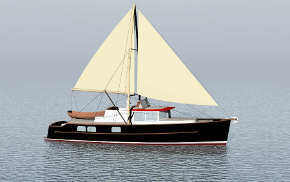 I see so many piggy looking boats whose looks could be improved enormously by simply working on the boottop…..usually it’s the boottop is too low or too small (skinny, could be higher), or too straight, or non-existent…..making it higher (above waterline) and wider is rarely wrong…..especially on modern high-freeboard hulls. 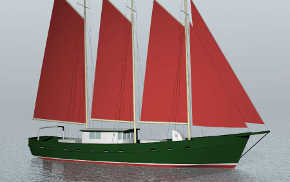 Really high freeboard hulls can benefit from making the boottop twice (or more) as wide (high) as normal, then adding a sheerstrake in the same colour transforms the boat. 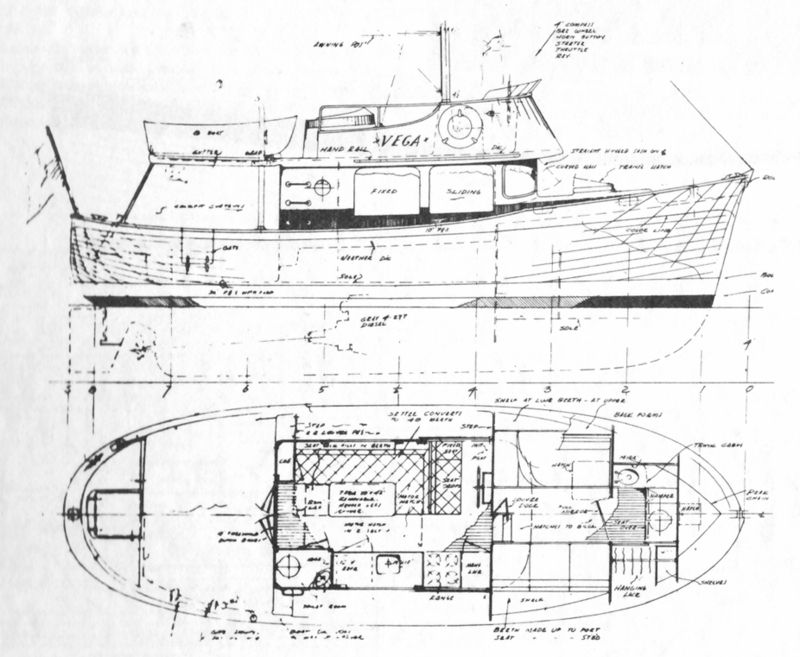 This is why formulas don’t work…..
On flat sheered powerboats I start aft with the boottop parallel top and bottom and to the waterline, then gradually curve it up to the stem, again more curve in the top than the bottom edge……..in those days we provided a table of offsets for the boottop top and bottom edges….I still do that on occasion…..Today Hinckley use two narrow dead straight parallel white lines…..which just illustrates where the company has gone……..
As for those who do get it…….Gary Mull was a master at boottops, if you look at his drawings the boottop appears too curved…but he was compensating for perspective and they come out perfect IRL. 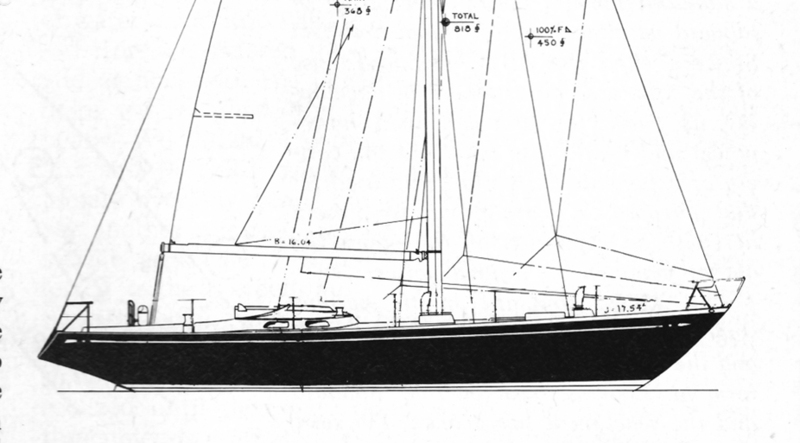 German Frers also always got it right back when he was still doing the drawing….today the help have followed everyone else to a bunch a straight lines easily done (afterthought) in CAD……. Going through the S&S book The Best of The Best I find that, like almost everyone else, they got it wrong (on the drawing) more often than not. 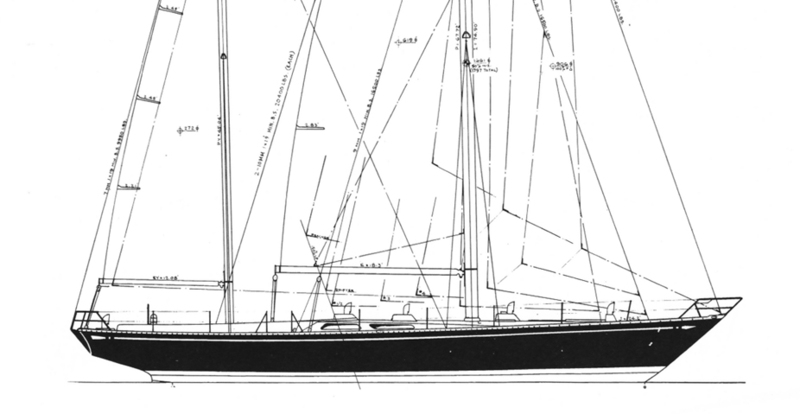 Funny thing is both Mull and Frers trained at S&S, as did Dave Pedrick, another guy who did get it right in most drawings I’ve seen. 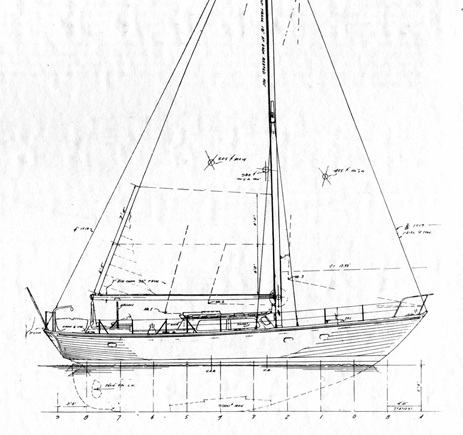 LF Herreshoff’s drawings show some development in the drawing of boottops, in his early work there is just a sheered top to the anti-fouling…..then in later years, a thin parallel paint line (also sheered) at the top of the anti-foul…..I haven’t come across a sheered boottop by him…….